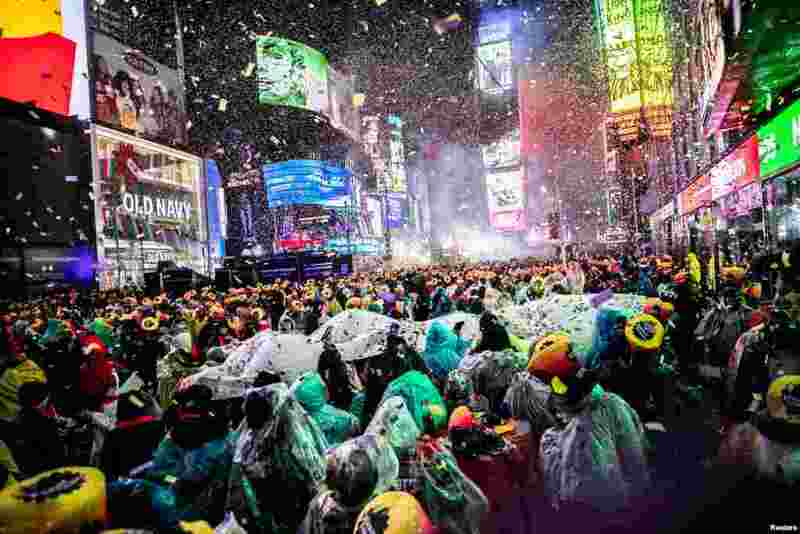 1 Revelers get ready to welcome the New Year in Times Square, New York, Dec. 31, 2018. 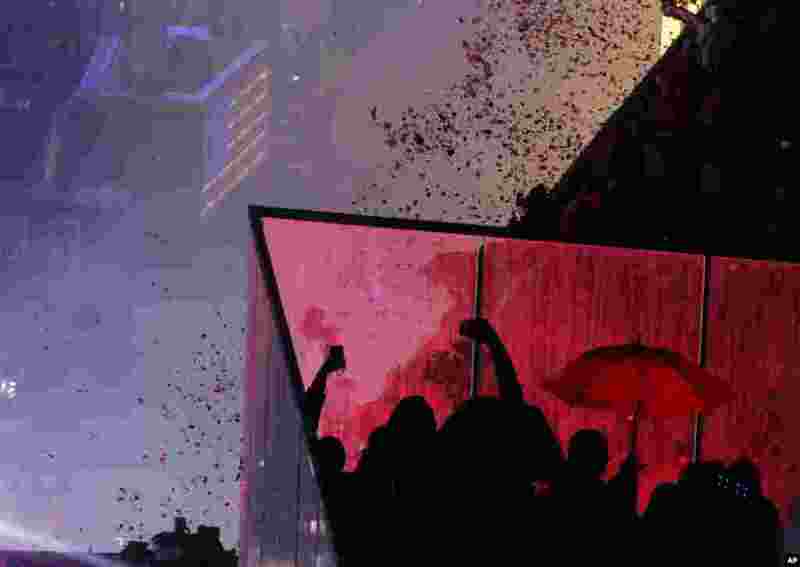 2 Confetti drops over the crowd as the clock strikes midnight during the New Year's celebration in Times Square as seen from the Marriott Marquis in New York, Jan. 1, 2019. 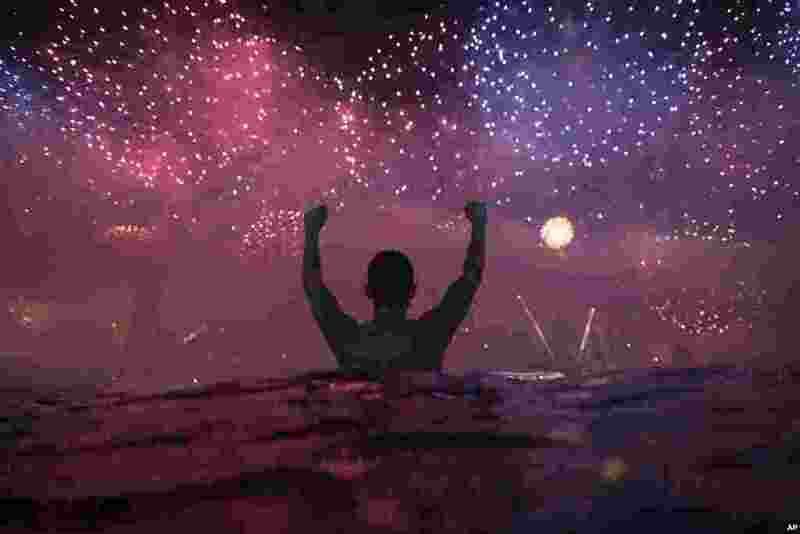 3 A man watches the fireworks exploding over Copacabana Beach during the New Year's celebrations in Rio de Janeiro, Brazil, Jan. 1, 2019. 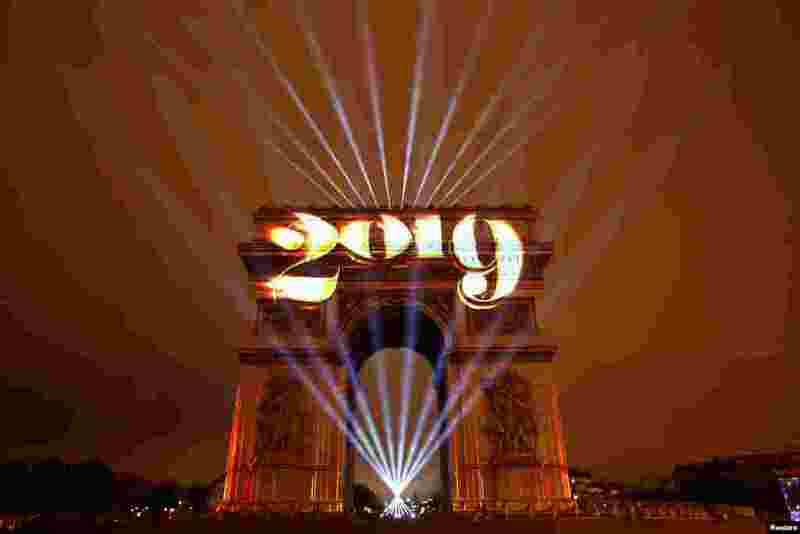 4 The Arc de Triomphe is lit during New Year's celebration in Paris, France, Jan. 1, 2019.